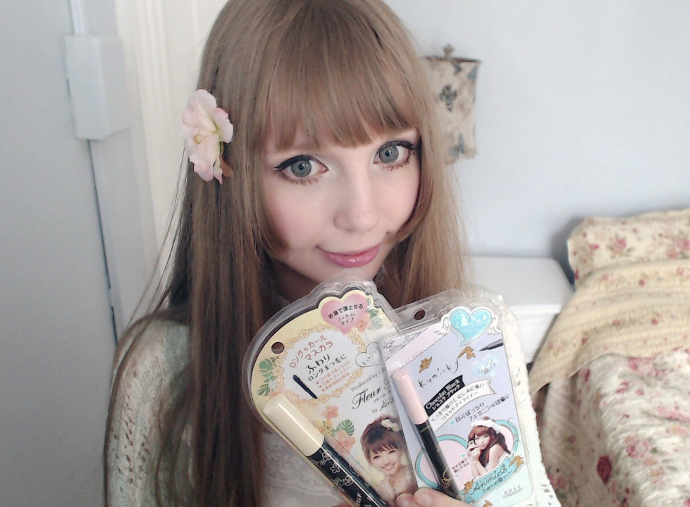 Today, I want to write a review for 2 eye make up products I got back in Japan. When I buy make up I often go for the brand products and the reason for it is that by buying them I know what kind of end result I will get. Some of the popular Asian cosmetics products like eye shadow, lipsticks, eyeliner etc, are designed to give girls and women cute and romantic look and choosing this brands gives me some kind of guarantee of this. Often eyeshadows or blushes from "western" companies seems to look really similar in the package buy after putting it on the face it just doesn't look the way the original Korean or Japanese products looked. The difference can be really subtle, like a little bit change tone or shimmer, but the overall look is just not the same. 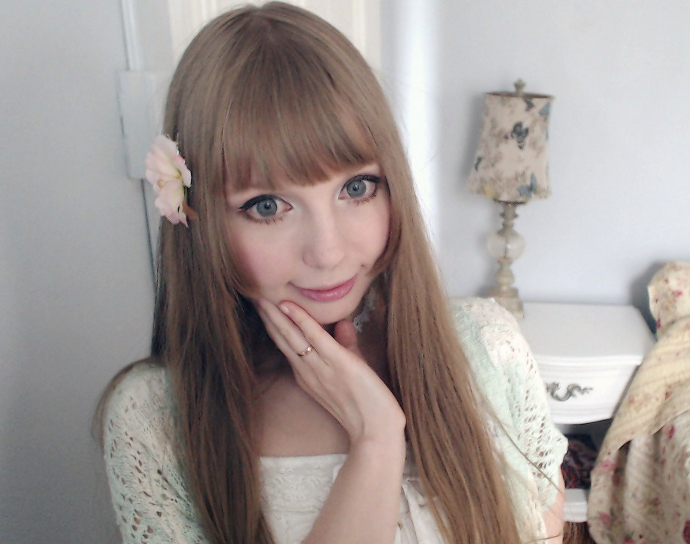 Plus Asian cosmetics usually have 100 times cuter packages and as much as it isn't that important I just enjoy using pretty things <3 Of course the biggest down side of this, is that often I have to pay higher price just for the "name". But as long I'm happy with my make up, it's something I can put up with. I prefer to have fewer products that I really like then a lot of not fitting me things. Of course I don't want to say that's impossible to find collection of cute make up in local drug stores, of course it is, I just think its harder to collect items for one, specific look. Ok, lets start with the review. I've chosen this eyeliner mostly because it was signed by Kumicki who's adorable Popteen model and I often use make up tips from this magazine so I though it will be suitable for my needs. I must say I really love it! 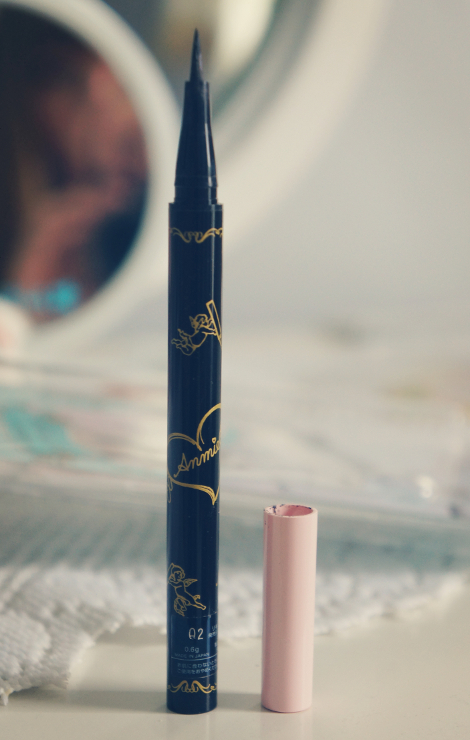 I think it's the best eyeliner I've ever used. 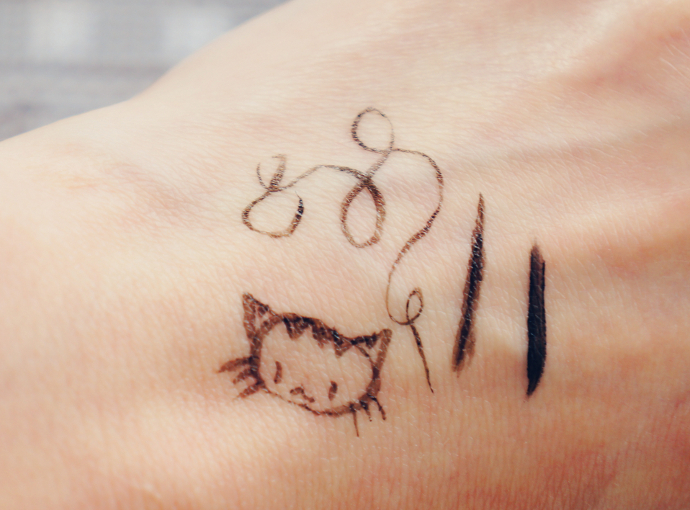 It's a pen liquid eyeliner with very thin end. I really enjoy using it because is so easy to draw with. You can easily make very thin line or with few storks make a little bit thicker one. I've used 2 pen eyeliners earlier, but it was always bad experience. First because they didn't want do draw on my eyelid and I had to cut a little bit of their end to make them do so and second, they were just hard to use. This one is just flawless. If I would have to point out some of its cone, first thing that comes to my mind is the price. I bought it for about 1000 yens (around 10 dollars) in Tokyo , and it think you can't buy it online for anything lower then 15 dollars, so it's rather on the pricey side. I bough this mascara mainly for the same reasons for which I've bough eyeliner. 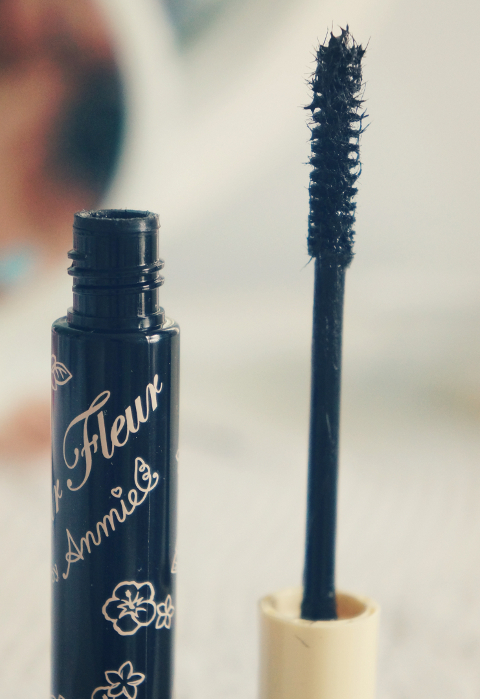 It's relatively new product from Kumicky's last Fleur Fleur line. Also I'm always interested in mascaras that would be a good everyday alternative for fake lashes. 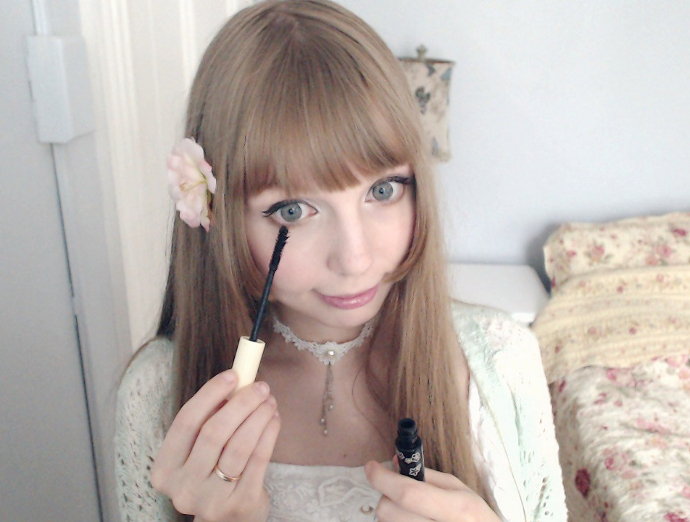 I use fake lashes mostly for photos or some bigger days, but it would be really nice to have cute lashes for everyday makeup too ^___^ Fleur Fleur caught my attention because its interesting formula with small fibers attaching to your lashes making it look longer and more specular. As you can see on the photo its brush looks like small, black, hairy caterpillar hi hi. I must say I'm happy with this mascara. I really like the end effect on my lashes. It makes them looks much, much longer and a little bit curled. Very nice <3 It doesn't separate eyelashes one by one, but rather clumps it in small patches making them look more like fake lashes. It definitely not the most natural looking makeup but when it comes to lashes I prefer mascaras that makes them look a little bit dramatic. Unfortunately, it can be tricky to apply. Sometimes I can put it perfectly, but often some fibers get crazy and attach in weird way and I have to spend some time on grooming and removing it. Also it starts to crumble after 3-4 hours leaving small, black dots and parts of fibers on ma face. I find it even harder to use on the lower lashes. The package says to apply it with the tip of the brush in horizontal motion. When it is put on in this way, it glues lashes in to bigger, triangular shaped patches. Unfortunately again small fibers not necessary want to cooperate with you and additionally if there's too much mascara on the tip of brush, it can turn lashes in to small, crumpled disaster. 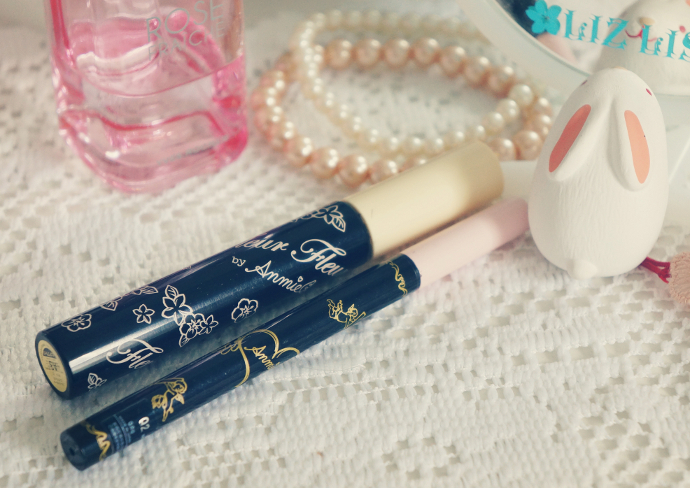 Usually I use this mascara for the upper eyelid and then use different one on lower lashes (mostly Canmake Gokubuto). Overall I think it's adorable mascara, something between natural and fake lashes. Applying it needs a little bit more time and patience but in my opinion it looks wonderful on upper lashes and I will gladly repurchase it once more. And here after using those two products, plus dark brown eyeshadow. Still I hope I've manage to show you quality of this two products. 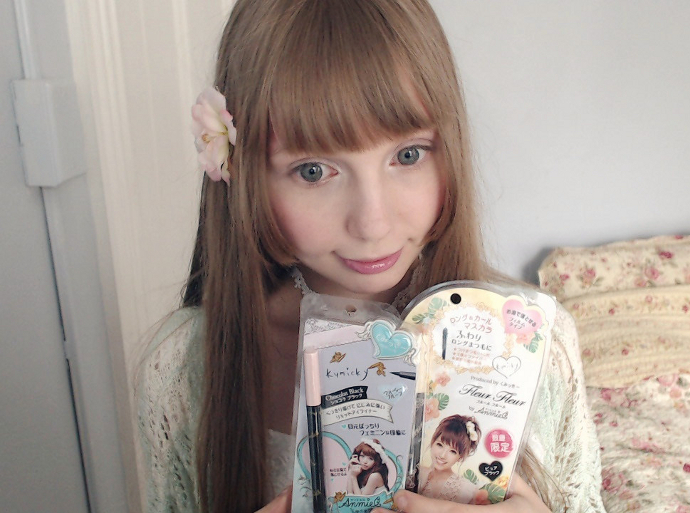 I also got one pair of Anmiel eyelashes, but I'll write about them in my next review. Thank you so much for your nice words, it's really flattering.